Remember: It was Obama who put illegals in cages. 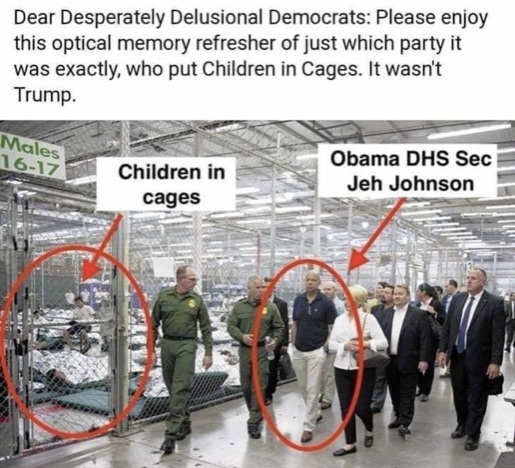 Jeh Johnson (Obama’s DHS Secretary) walking past the cages. The same photo that lying MSM cropped and blamed on Trump. | Poal: Say what you want.